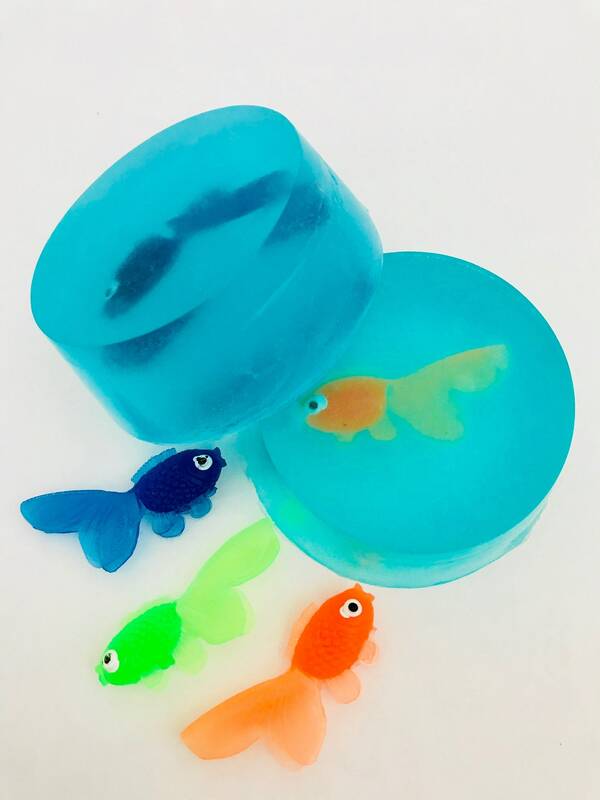 Kids will love taking a bath with these fun and colorful scented soaps! Each bar is approx. 3.5 oz. 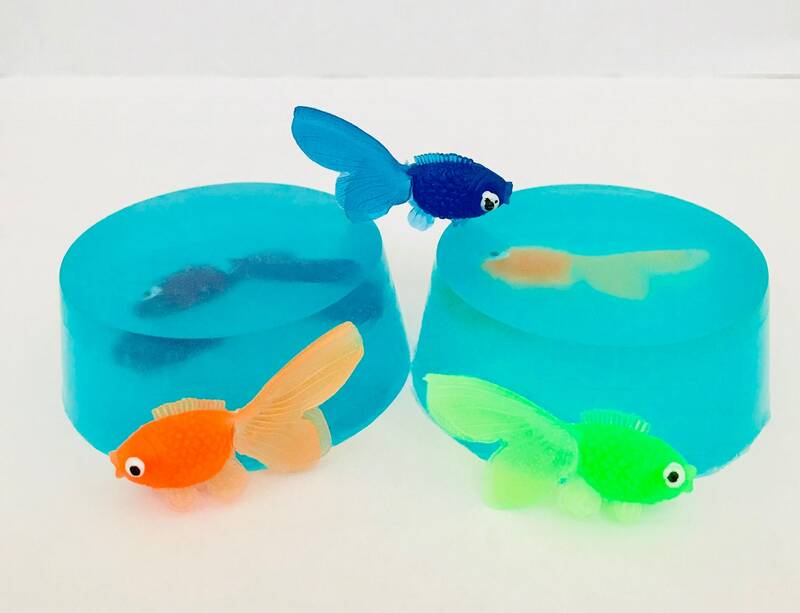 and is made in your choice of either blue or translucent color and scent. 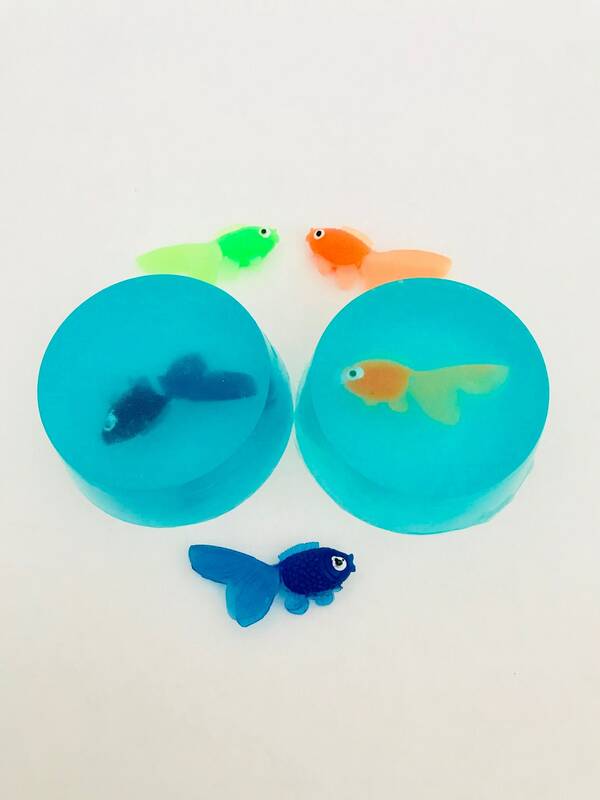 Each bar contains a vinyl fish embedded in the middle of the soap. 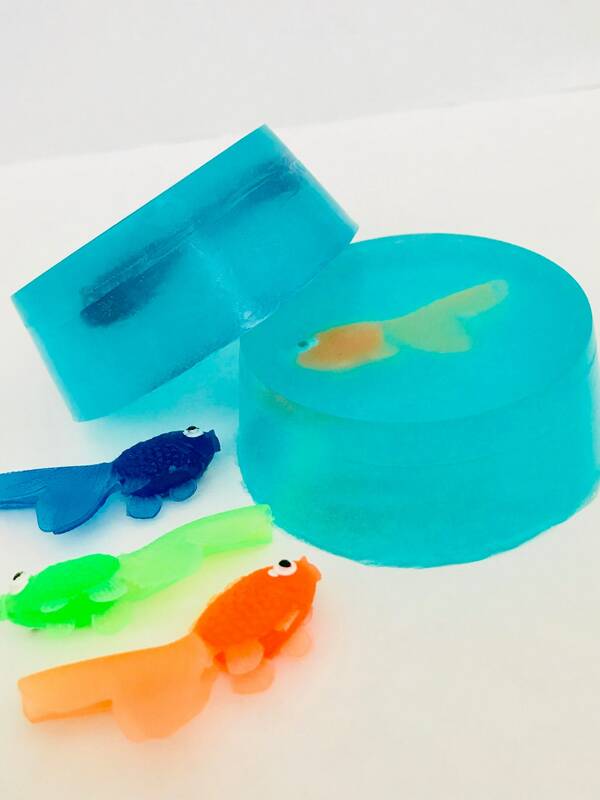 Each time your kiddo uses their soap, they work their way closer to the prize. A great incentive for kids to take a bath or wash hands. Makes a great party favor or stocking stuffer. This listing is for one 3.5 oz bar of kid friendly soap that comes shrink wrapped and labeled in a cello bag with ribbon. Also available in 1.5 oz. favor size with or without personalization. Message me for pricing. These are also available with glitter by request. Leave in seller notes when ordering if you wish to have glitter added to your soap. 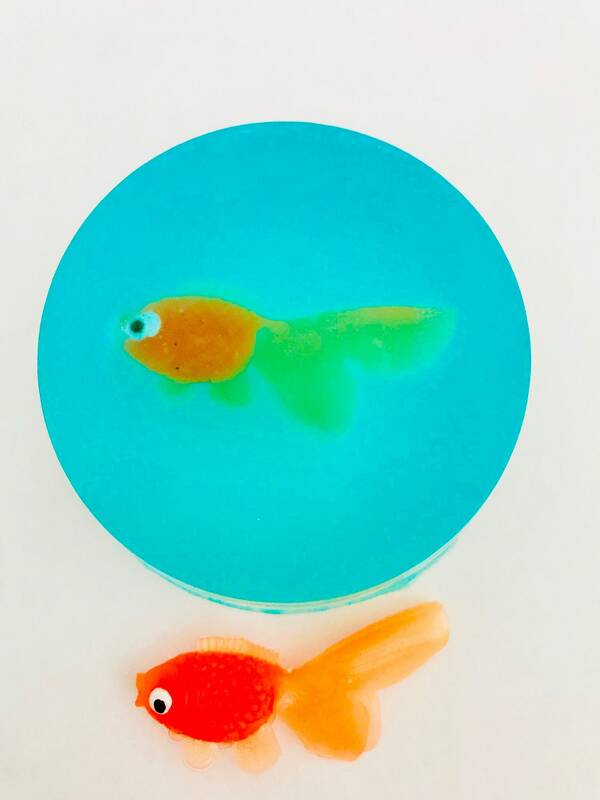 Fish come in purple, orange, blue and green. If you have a preference, leave in the notes. For external use only. Contains small parts. Not for children under three.